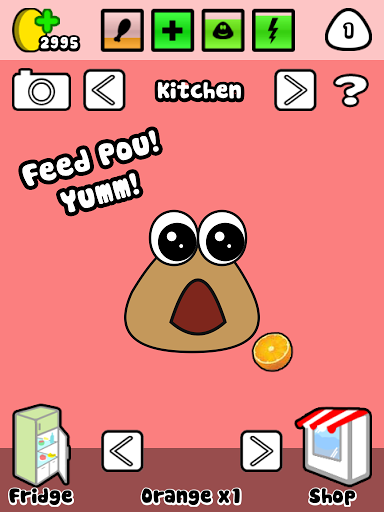 Pou offers a large selection of Pou-themed mini-games, and playing even one of them makes Pou a happy blob. None of the games are particularly original: There are a couple of variations on the match-3 formula, a Doodle Jump rip-off, a Bust-a-Move rip-off, and other familiar fare. There’s even a version of Connect 4 that you can play with a friend, provided someone signs up to play with you. The games form the core experience in Pou, and while they’re all functional (barring the few tilt-based games, which you can’t calibrate), they’re not very impressive. Youngsters might be impressed with the experience, however. In fact, Pou is best suited for a young audience, period. 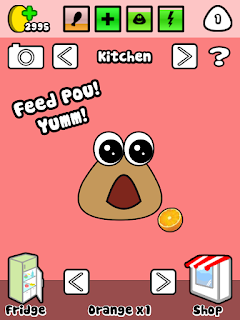 Kids will love feeding Pou, dressing him up, and decorating his house. There’s even a feature that lets Pou parrot whatever you say into your device’s microphone—and yes, that includes swear words.